The annual Taboo Championship was yesterday. Even with Barb in town from Kansas City, the men took the title again. 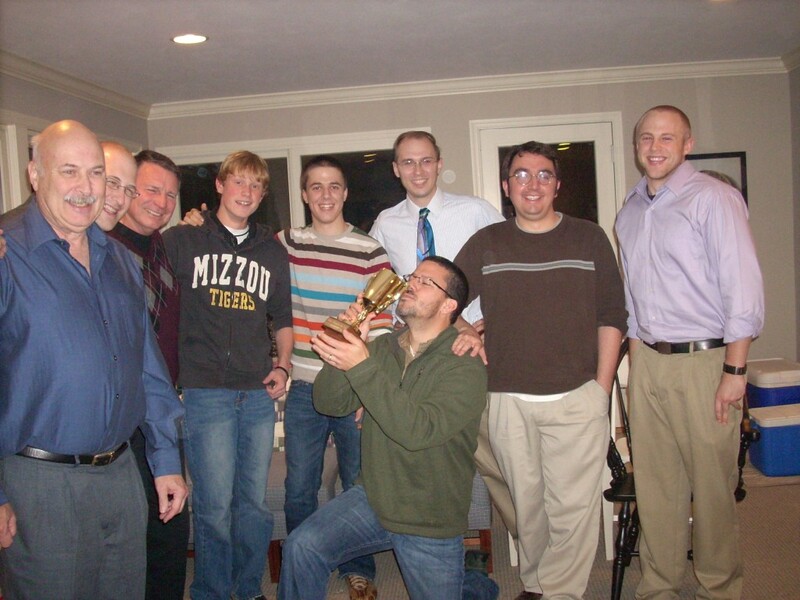 Jeff (holding trophy) was the Men’s MVP this year giving us a 1 point lead with his 12 point round. The women seemed to be happy losers this year. As compared to years past. Mom got the honor of the “Losers” Taboo Pie Serving Apron. I believe this is what they call a three-peat. 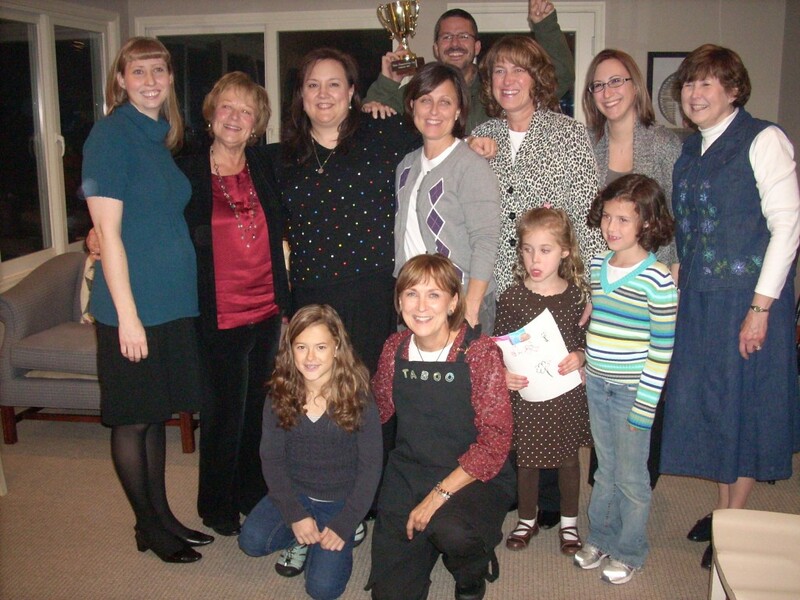 This entry was posted on Friday, November 26th, 2010 at 4:38 pm	and is filed under Personal Story, Taboo Championship Cup. You can follow any responses to this entry through the RSS 2.0 feed. You can leave a response, or trackback from your own site. this is the appropriate time for a "dislike" button.